CHICAGO – No one denies it’s been an uncomfortable two months for the Sabres. That’s a given with a swap of general managers and coaches. Staffers wonder if they’ll be next. If they stay, they're curious where they fit. This week finally brought a little clarity. More importantly, it brought a bit of comfort. GM Jason Botterill really got to know his scouting staff. They got to know him. 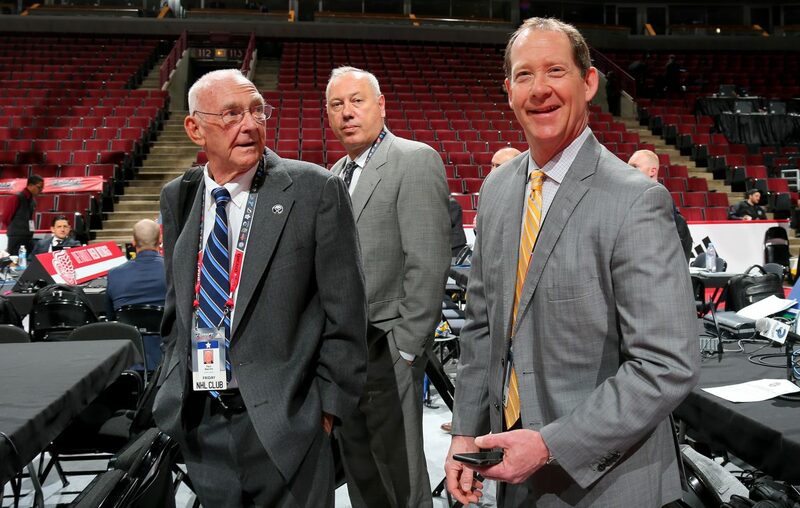 Though Phil Housley was busy interviewing assistants, his personality shined at the Sabres’ draft table. After all the chaos, the Sabres are starting to become a team again. “Jason did a great job making us feel welcome, making us feel comfortable with his program,” Jeff Crisp, the Sabres’ head amateur scout, said Saturday. “As advertised, he was a GM-in-waiting for a lot of different NHL teams for a reason. He’s very intelligent and very prepared. As far as hockey goes, it was a quiet draft weekend for Buffalo. None of the five players drafted, including No. 8 overall pick Casey Mittelstadt, will provide immediate help. No trades were made. But the conversations were an internal boost. That starts at the top with Botterill and Housley. “You just see the personality that he has interacting with our scouts, interacting with players that are coming into the organization,” Botterill said in United Center. “He has a very good feel on players in the league and what he wants when I bring up names to him on possible trades or possible free-agent acquisitions. In addition to talking to coaching candidates, some of whom may be announced soon, Housley has been reaching out to players. He’ll be by Botterill’s side during the next week for the free-agent interview process, which begins Sunday. With some camaraderie formed, they’ll be able to make their pitch to players on why Buffalo is a fit for them. “We’re still addressing a lot of different positions in our organization,” Botterill said. “We want to bring more depth, obviously. Whether it’s through free agency or through trades, we’ll continue to look at different things. Botterill will add an assistant GM in the next couple of days. It’s expected to be Randy Sexton, the former general manager of Ottawa and Florida. He worked with Botterill in Pittsburgh as the director of amateur scouting. While it makes sense for Botterill to want his own guys, he gave the Sabres’ holdovers a chance to prove their worth. For example, the Sabres’ third-round pick, Oskari Laaksonen, wasn’t one of the 149 players in NHL Central Scouting’s European ratings. But the scouts wanted him, so Botterill went with them. “He listened to the guys,” said Crisp, who ran the draft process with Kevin Devine, the player personnel director. “He sat in all the meetings and listened to the area guys and Kevin Devine and myself. I think we all felt part of the program. The inclusion was important. It’s just a start as the Sabres come together following the massive shake-up. “It’s been interesting,” Crisp said. “Some guys had a relationship with Jason. Some of our friends are gone, which they did some great work that was used and utilized at the draft.